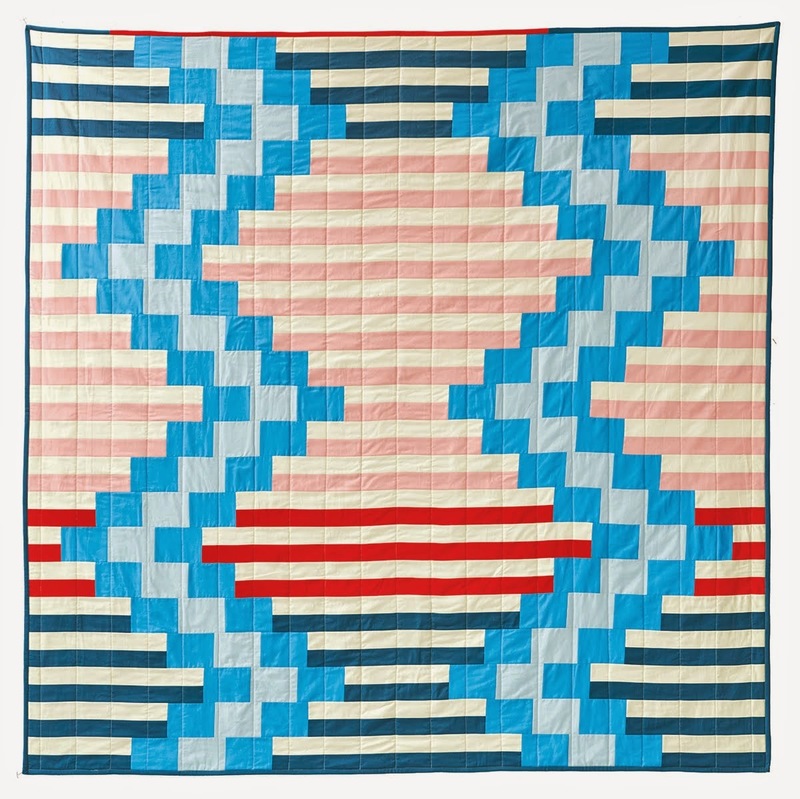 This was intended to be a baby quilt but now I'm not so sure. I think I want it. Each dot is made from a different polka dot fabric and is made using the "6 minute circle" method. 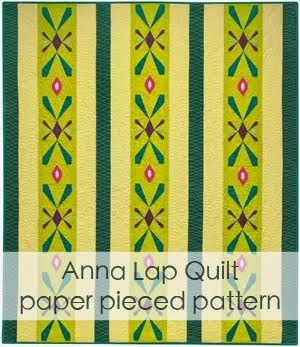 It's such a great technique, I can't recommend it enough if you want pieced circles (as opposed to hand or machine appliqued). 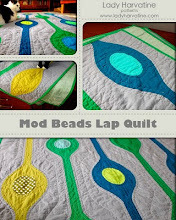 Each circle has a 4" diameter and is pieced into the center of an 8" square. A pieced back! I haven't really been into those lately, mostly because I haven't felt like putting additional work in. Is that bad? Well I'm pleased with this one. It was somewhat improvised after Alissa gave a nice talk about improv-ing at the last LAMQG meeting. I have to say though, too much improv makes my head hurt. I like to have a plan of action, complete with measurements, from the get-go. So after a few of these blocks were sewn and laid out, I broke out the tape measure to figure out exactly how I would fill in the gaps. love it, liz. polka dot spots? genius. and the pieced back is just wonderful. Yeah, I'd want to keep it, too. It's wonderful! I especially like how the back and front are so different in shape, but echo each other because of the dots-on-white...but in reverse, I guess, since the white is dominant on the front and the prints on the back. What a long-winded way of saying that I really, really like it! Cute cute cute! Love the back too! What a pretty quilt! I love the polka dot spots and your pieced back is beautiful. I adore this one! it totally makes me want to make some of those 6 minute circles....and I don't blame you for wanting to keep it! wow!! 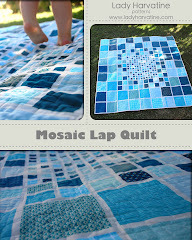 i love this little quilt! and the back is great also!!!! All that baby will do is throw up on it, so go ahead and keep it for yourself. Babies are actually pretty easy-going when it comes to design and color and don't mind short delays, as long as we're not talking eating. Beautiful work. Love the polka dotted polka dots.